It hasn’t been the most productive of summer transfer windows so far has it? In fact, to put it bluntly, so far it could be described as the quietest summer transfer window, for Chelsea, for many a year, probably since the days when cash was tight and the only arrival on summer was Quique De Lucas. But there are snippets of transfer speculation out there and it wouldn’t surprise me if Chelsea silenced us all by announcing one or two big deals. One piece of transfer tittle-tattle that has caught our attention relates to the Napoli midfielder, Jorginho. The 26-year-old Italian international has been linked with a move to Manchester City, with Pep Guardiola, according to the local media source, the Manchester Evening News, willing to pay £35 million for the player. However, the same source goes on to infer that Chelsea are looking to jump in and beat Manchester City to the signature of the player, paying Napoli somewhere nearer their £53 million valuation. But, whilst it looks good on paper our views of the deal going through are not so rosy. Manchester City, under Pep Guardiola, are able to offer Jorginho Champions League football, whereas we’re only able to offer the delights of the Europa League. There’s also the small matter of Manchester City ruling the roost in English football whilst Chelsea, courtesy of a poor 2017 / 2018 season, have slipped from grace. 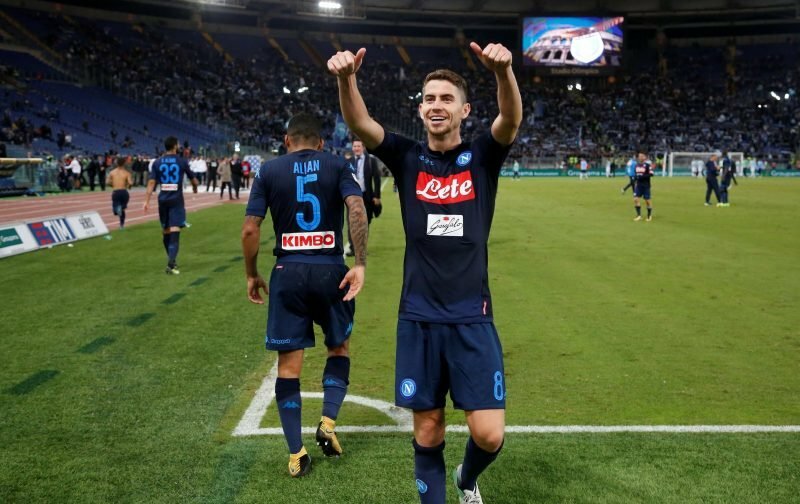 But, whilst the above two points edge towards a possible move to the Etihad Stadium for the player, perhaps the possibility of having to fight for a regular first team place might see Jorginho edge towards a move to Stamford Bridge. At 26-years-of-age and at the peak of his game, Jorginho knows this is a move he has to gauge correctly.